Everything you ever wanted to know about CBD oil (but were afraid to ask). Some love it – some fear it. But there’s no denying the growing interest in a non-prescription tincture known as CBD oil. CBD is short for cannabidiol, a natural component of industrial cannabis, or hemp. It is made from the flowers, leaves, and stalks of hemp plants, but not its seeds (as with hemp oil). It is diluted with a carrier oil (like coconut oil) and taken as a tincture. It is an increasingly popular part of the cannabis industry. 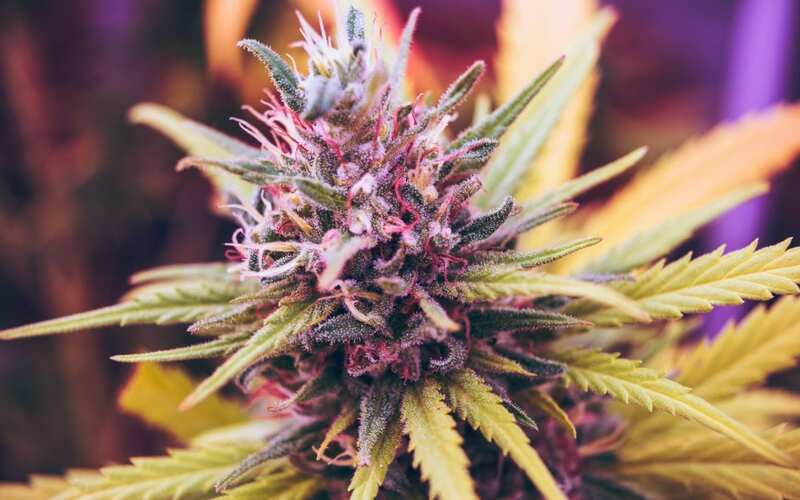 It is not marijuana, which is the psychoactive dried flower bud or chemicals that are extracted from the cannabis plant containing tetrahydrocannabinol (THC). You will not get high from CBD. Also, it is not illegal in Indiana to use CBD. An increasing number of studies show that CBD has significant medical benefits. Since it does not give people a buzzed or stoned feeling, it’s an appealing option to people who are looking for natural ways to relieve pain, as well as depression and anxiety. Believe it or not, cannabis/marijuana was used as early as 2900 BC by the Chinese for chronic pain relief. Many other civilizations record using it for joint pain, muscle spasms, gout, and malaria. In recent years, scientists have studied cannabis and discovered that certain components – including CBD – do indeed have pain-relieving effects. The human body has an endocannabinoid system (ECS) and produces endocannabinoids (a type of neurotransmitter) which acts as a modulator for the function of the brain, endocrine, and immune tissues. It helps regulates sleep, appetite, pain, and immune system response. CBD may help reduce chronic pain by affecting receptor activity, which (among other things) can reduce inflammation. Several studies have also shown that CBD can reduce pain from surgery and sciatic nerve pain and inflammation. Depression is the largest contributor to disability worldwide, with anxiety disorders not far behind. Both are usually related to low serotonin in the brain, a neurotransmitter that regulates mood and behavior – and both are usually treated with pharmaceutical drugs which may have side effects and can potentially be addictive. There is a growing body of evidence that shows CBD may be an effective treatment for anxiety and depression as well as a more natural approach. One study shows that CBD has also been used to safely treat insomnia and anxiety in children with post-traumatic stress disorder (PTSD). These particular benefits are linked to CBD’s ability to impact certain serotonin receptors. Nearly 10% of the population has undergone the trials (and sometimes scarring) due to inflamed or infected sebaceous glands of the skin – more commonly known as acne. This condition is generally due to things like genetics, bacteria, and overproduction of sebum, a secretion of the sebaceous glands. Early studies are showing that CBD may be an effective and safe way to treat acne due to its anti-inflammatory qualities. There is recent research that shows CBD may have benefits for the heart and circulatory system, including treatment for high blood pressure. One study showed evidence that CBD reduced resting blood pressure in a single dose. CBD is considered quite safe and is generally well-tolerated in most people. In a few cases, however, there may be adverse reactions including drowsiness, anxiety, dry mouth, dizziness, diarrhea, and changes in appetite. It also may interfere with certain medications, so it’s always a good idea to talk to a doctor before starting to use CBD oil. CBD oil is legal in Indiana and offers many potential health benefits, including treatment for anxiety, depression, acne, and high blood pressure. Health coach Lori Holbrook is recommending it more and more often to help her clients with anxiety, chronic pain, or sleep issues. Contact Lori at A Natural Way to Recovery for more information about CBD oil or other natural wellness services.